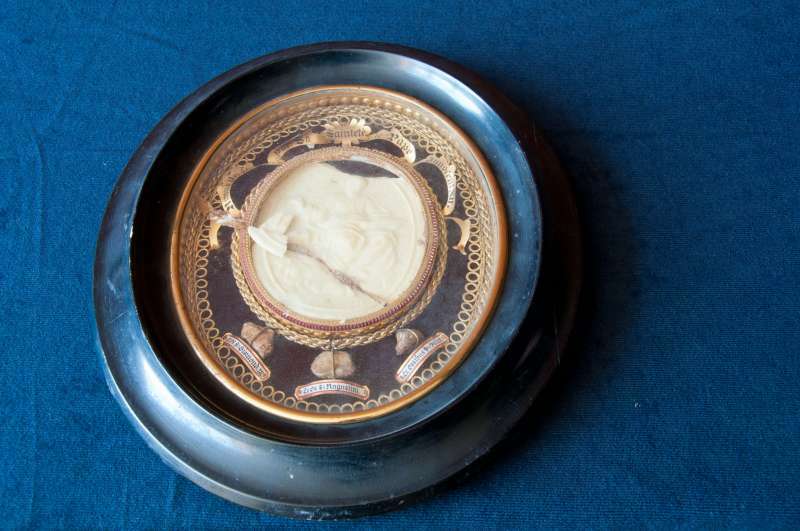 This agnus dei wax disk contains the first-class relics of three saints and the name of the pope written in gold inside the oval frame. 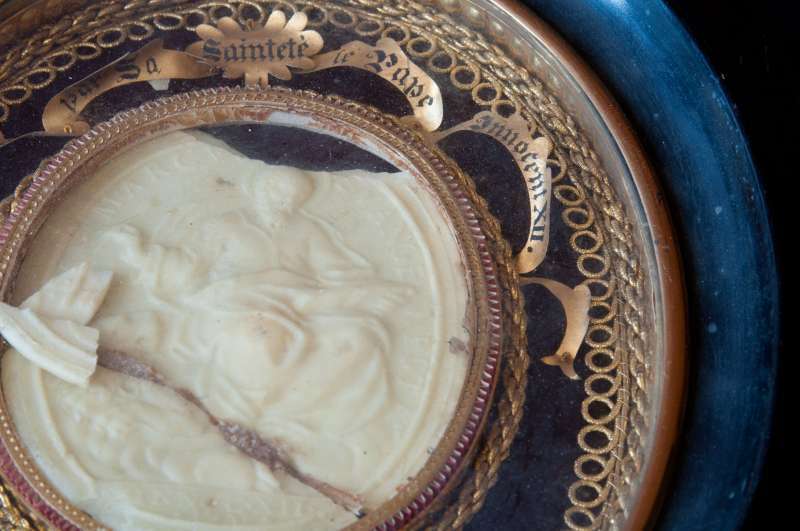 An Agnus Dei is a round or oval wax disk impressed with a lamb on one side and figures of saints or the pope on the other side. They were created by melting the wax of the previous year’s Easter candles from the churches in Rome. Chrism oil was then added to the cauldron of melting wax. The pope blessed the disks that were then given to people to be used as sacramentals. Although the origin is not certain, it is thought this practice began around the 5th century. Papal Artifacts gratefully acknowledges the many contributions of Mr. John La Tour, a landscape photographer from Duluth, Minnesota, USA, whose work may be found at Northwoods Photography: jlatour.zenfolio.com. His collections are from travels to Italy and South Africa as well as to many destinations in the United States. In addition to his work as a landscape photographer, Papal Artifacts gratefully acknowledges the many contributions he has made to this website.